Looking for private in-home or in-studio Harp lessons? Our Carson teachers are ready to get you started. Find your teacher today! A graduate from Rice University's Shepherd School of Music, Cindy is a passionate harp teacher and performer who loves to interact with students. She has taught students in all levels in both English and Mandarin Chinese. Cindy first started harp with her grandmother, a well-known harpist in China, at their home in Beijing. Since she was young, she was greatly influenced by watching her grandmother teach at home. Cindy believes in giving young harpists a well-rounded music education, and she focuses on technique and musicality through her teaching. Cindy is an active harpist in the Houston area. She is a substitute harpist with the Houston Symphony, the China Philharmonic Orchestra, and the New World Symphony. Cindy was an orchestral fellow for the Texas Music Festival Orchestral Institute and the Round Top Music Festival during the summers. On top of orchestral festivals, Cindy can be found performing around the world in the summers. 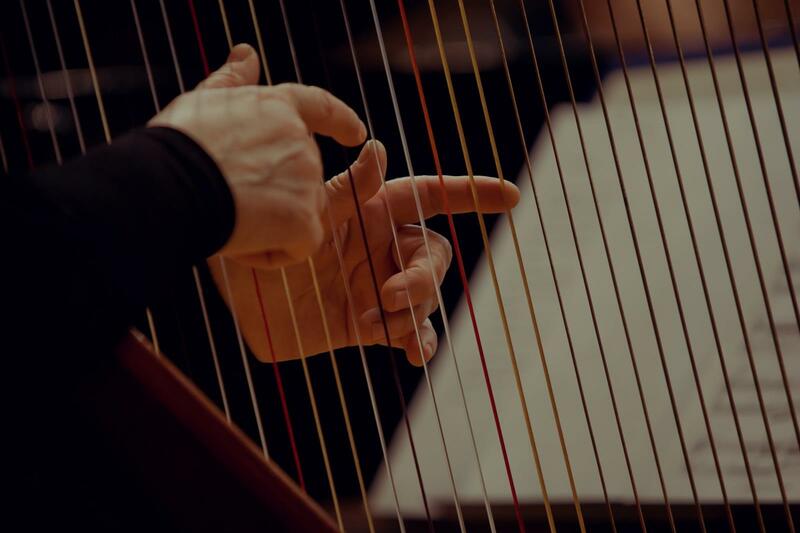 Last year, she attended the World Harp Congress in Hong Kong, where she performed in a masterclass with Alice Giles and was a winner of the mock audition. She also performed chamber music, in Nantucket, MA, as a part of the Rossini Club. In 2014, Cindy attended and performed at the World Harp Congress in Sydney, Australia. Cindy was a participant of the Saratoga Harp Colony and the Young Artists Harp Seminar in 2013.
debut with the Suburban Symphony Orchestra as the winner of their Concerto Competition. She was also the first prize winner of the Houston Tuesday Musical Club’s Ruth Burr Competition for Instrumentalists in 2017, the San Antonio Tuesday Musical Club’s Young Artists Competition in Strings in 2016, the college division of the 2017 American Harp Society Greater Houston Chapter Mildred Milligan Scholarship Competition, and she was a finalist of the American Harp Society's Anne Adams Awards in 2018. Cindy was offered a full-tuition scholarship throughout her undergraduate studies at Rice University. This past May, she received her Bachelor of Music degree with "Distinction in Research and Creative Works". Cindy is currently in her graduate studies with a full-tuition scholarship. In her spare time, she enjoys traveling, sewing, and discovering good food with family and friends. Jessica's career as a harpist, songwriter, and singer allows her to use an eclectic approach to teaching harp lessons. She strives to provide her students with a solid musical foundation that allows them to play and create music in their own way. She teaches both classical and Celtic harp in a variety of genres and has been trained in both the French (Grandjany) and Salzedo methods. ears, my daughter have had several teachers through out her piano and harp lessons, and I never seen her so excited before and after the her music lesson. She has been inspired and highly motivated from the first moment that she met Liza."